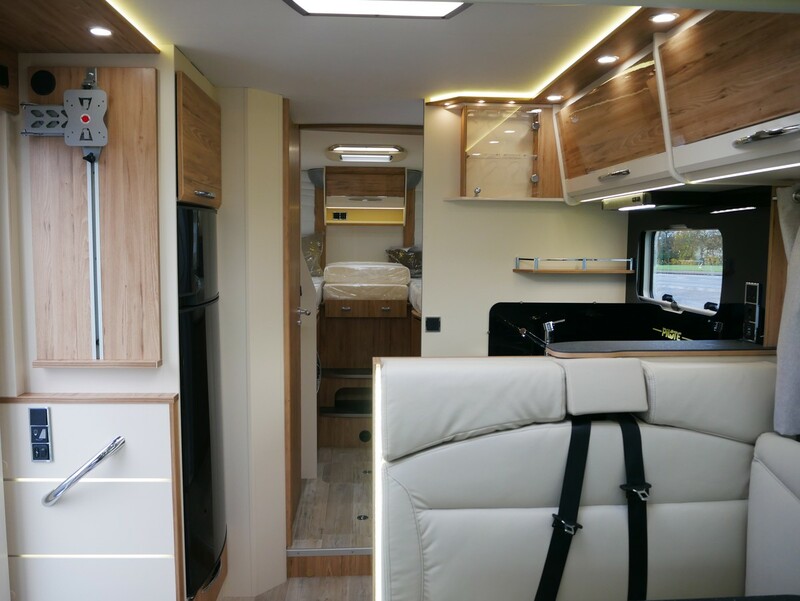 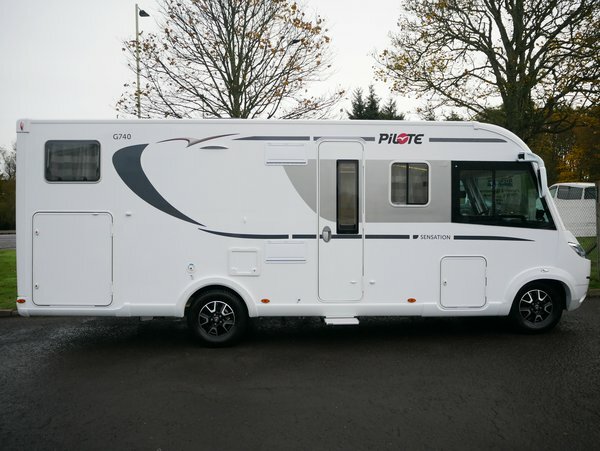 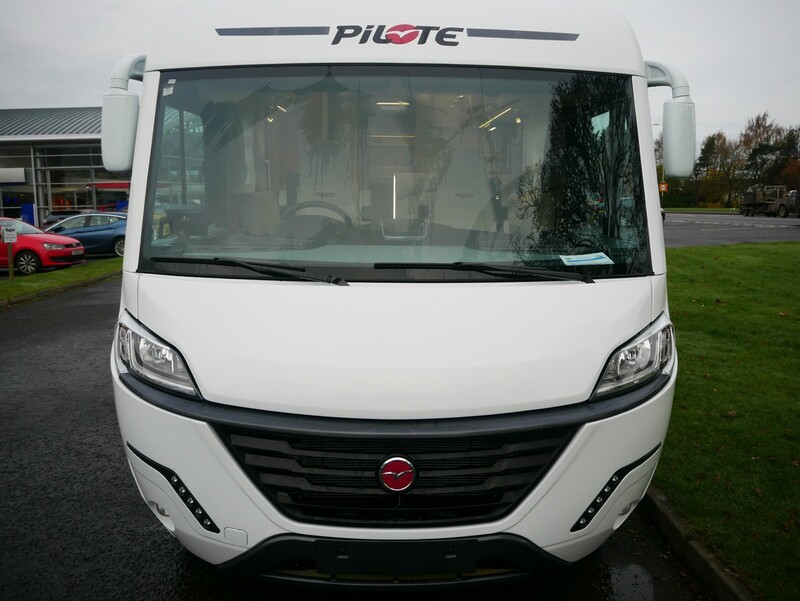 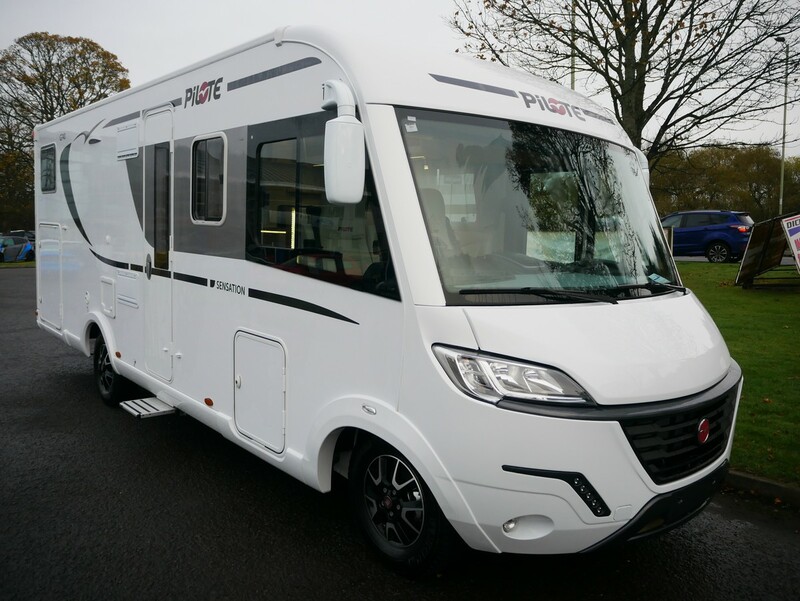 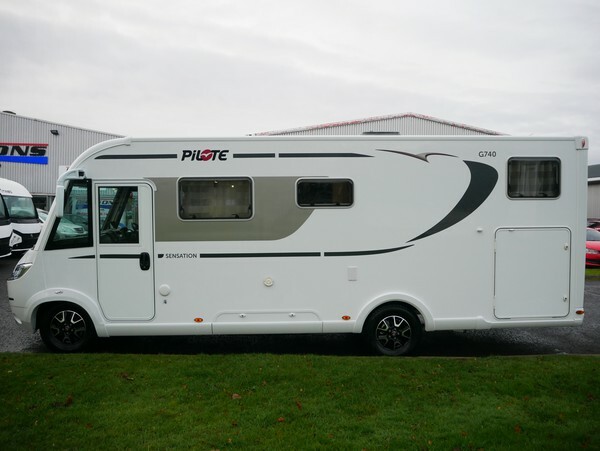 The 2018 Pilote G740GJ Sensation is a 4-berth A-class motorhome with automatic transmission. 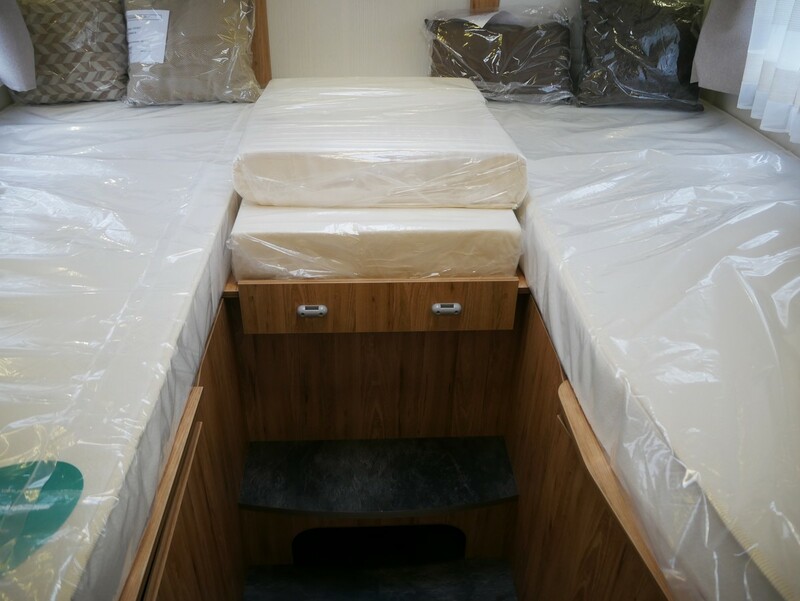 It includes rear raised twin beds to which gives way to a huge garage space. 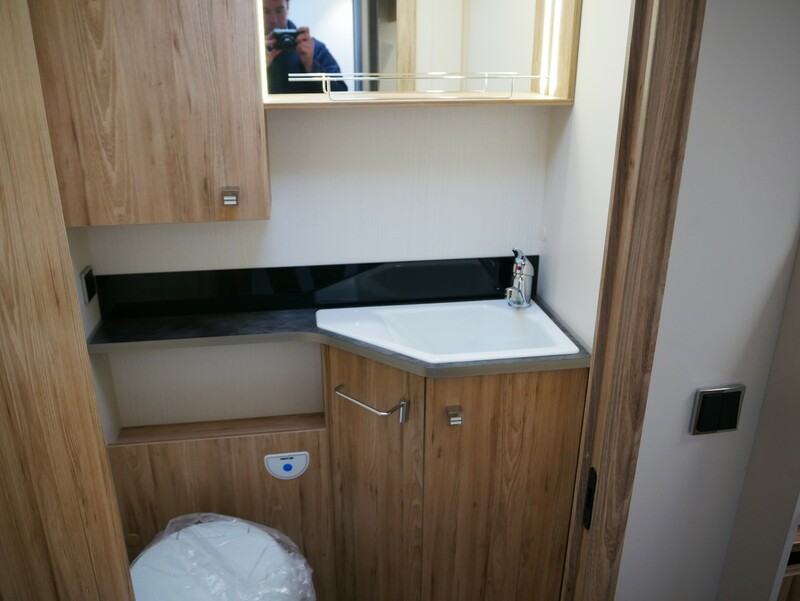 The spacious bedroom area provides lots of floor space with a large shower and toilet opposite. The generous kitchen has a 3-ring gas hob, an oven and grill, as well as a full size fridge/freezer. 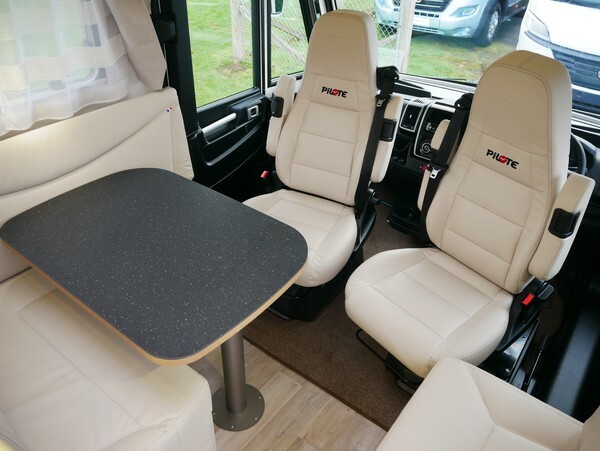 The lounge provides a nice comfortable seating & dining space to relax in the evening. 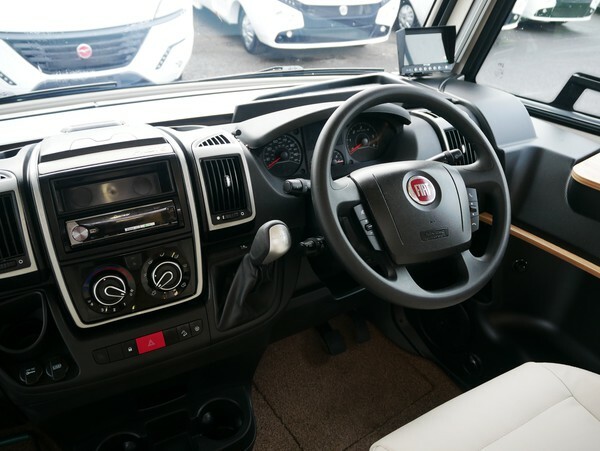 The 2 captains chairs and the forward facing rear seats are both belted. 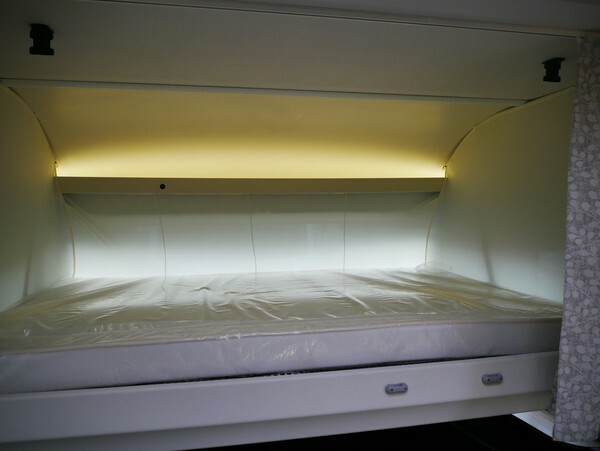 As standard with the A-Class, there is a large drop-down bed which goes into the cab.